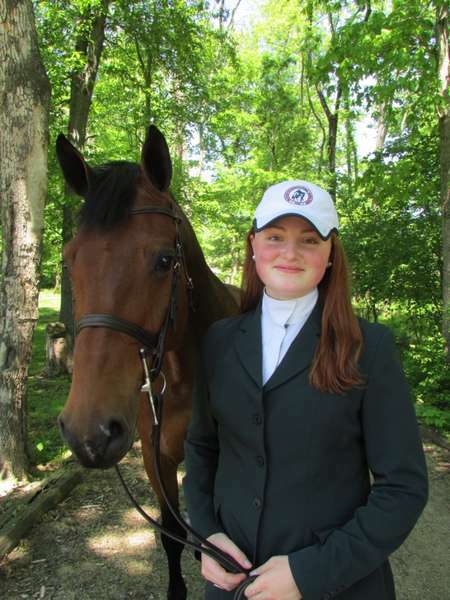 WASHINGTON, June 1, 2017--The Washington International Horse Show (WIHS), one of the most prestigious equestrian sport and entertainment events in North America, is pleased to announce Jenna Zimmerman, 16, of Great Falls, Va., as the 2017 Youth Ambassador, and to welcome 26 local teens attending schools in Virginia, Maryland, and D.C. to serve on the 2017 WIHS Junior Committee presented by Signature Academics. "Now in its ninth year, the WIHS Junior Committee and Youth Ambassador Program represent the heart of the show," said WIHS President Vicki Lowell. "These hardworking teens are passionate about horse sports and that's what brings them to us, but they're also actively involved in giving back to the local community throughout the year. We'd like to congratulate and thank each one of them for their commitment to this special event and their support of the local community." Signature Academics has signed on as the presenting sponsor of the 2017 WIHS Junior Committee and Youth Ambassador program, "My colleagues are as excited as we are and are looking forward to collaborating with WIHS and the awesome kids on the Junior Committee. I know we can do great things for the committee, for WIHS, and for Signature Academics," said Signature Academics Executive Director, Wendy Salomon. Members of the WIHS Junior Committee & Youth Ambassador Program are selected through an application process that begins in March. For more information, visit WIHS Youth Ambassador and Junior Committee. As WIHS Youth Ambassador, Zimmerman will serve as the organization's youth spokesperson and chair the WIHS Junior Committee, which initiates and works on volunteer activities, horse-related youth programs and community-focused educational events, such as WIHS Kids' Day, Barn Night, Military Night and Breakfast with the Mounted Police. Zimmerman is a rising senior at Langley High School in McLean, Va., where she is involved in numerous extracurricular activities, including National Honors Society, Spanish Honors Society and Best Buddies. She has been a member of the Junior Committee for three years and qualified to show at WIHS for the past four years competing in the Children's and Junior Hunters with her horses Valente and Buttoned Up. "I could not be more excited to begin this amazing journey with such a great group of Junior Committee members," said Zimmerman. 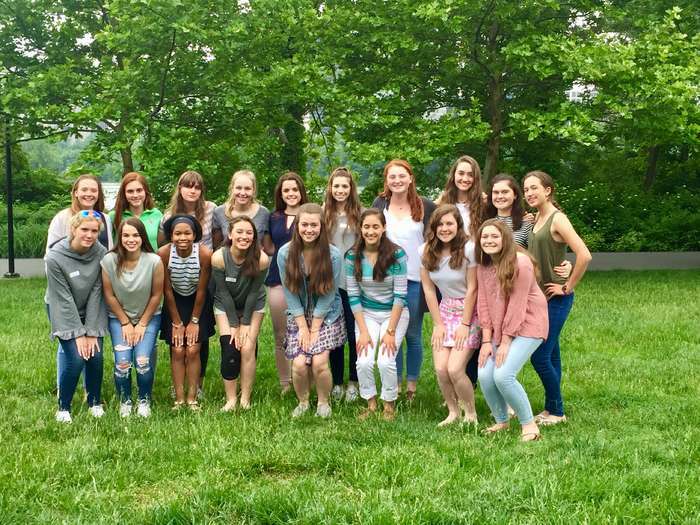 "I have wholly enjoyed my past three years on the Junior Committee and am eager to begin a new year with more community involvement and connections with the WIHS family. I'm hoping to make this year at Washington the best one yet!" The 59th Annual Washington International Horse Show will be held October 24-29, 2017, at Verizon Center in Washington, D.C. For more information, please visit wihs.org. To set up an interview with members of the WIHS Junior Committee or Youth Ambassador, contact: Jennifer Wood, Jwood@JumpMediaLLC.com. Established in 1958, the Washington International Horse Show is one of North America's most prestigious and entertaining equestrian events attracting more than 26,000 spectators annually to Washington, D.C., for Olympic-level competition plus community and charity events. More than 500 top horses and riders arrive from all over the globe to jump for more than a half a million dollars in prize money. Highlights include the $130,000 Longines FEI World Cup™ Jumping Washington for the President's Cup, presented by Events DC, the $25,000 Puissance high jump, presented by The Boeing Company, and $50,000 Speed Final on Military Night and Kids' Day, a free, fun and educational community event. WIHS, an official USEF Heritage Competition, is rated CSI4*-W by the Fédération Equestre Internationale, the world governing body for horse sports. The Washington International Horse Show Association, Ltd. is a 501(c)(3) nonprofit charitable organization based in Washington, D.C.
Signature Academics offers a full range of educational services to support today's equestrian student-athletes. From Wellington and Ocala, Florida, through Devon and Indoors, Signature Academics provides year-round subject tutoring; standardized test preparation; custom, seasonal, accredited school; and college counseling to students in middle school through college. By combining academic excellence and a full understanding of the equestrian world and its challenges, the team at Signature Academics is uniquely qualified to help equestrian student-athletes excel in everything they do. For more information, visit www.signatureacademics.com. For more information, please visit wihs.org, join us on Facebook, and follow us on Twitter and Instagram.